My family loves peanut butter. They would be perfectly happy if I served them pb and j's or pb and fluff to them for every meal. Actually, that was Tucker's school lunch every single day in kindergarten. You get the idea. We love peanut butter. The best thing about nut butters is that they are incredibly versatile. I put them on my toast, on bananas, on waffles, pancakes, in yogurt, in smoothies, on brownies, on ice cream. When I was introduced to NuttZo, I was amazed at how much better this nut butter is than any other nut butter I've ever tried. And believe me, I've tried quite a few in my time. If you enjoy a nut butter but with an added crunch, you will love NuttZo for the flavor. But you are getting so much more out of NuttZo than just incredible flavor. You're also getting a mouthful of Omega 3s. It is also 100% organic and is packed with peanuts, cashews, hazelnuts, almonds, brazil nuts, sunflower seeds and flax seeds. This beautiful story behind the creation of NuttZo only makes it better. Not only is it incredibly healthy for you, it was created with love. I've enjoyed trying out NuttZo for the past week. It's flavor is amazing and it's so easy to just add to what you eat already. 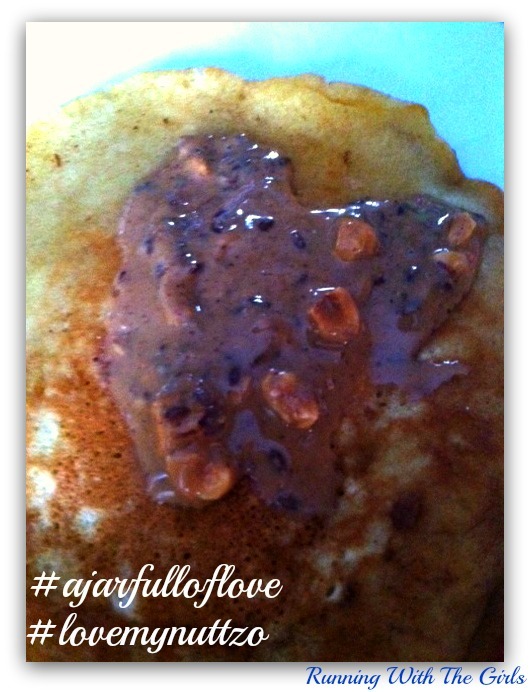 My favorite ways to enjoy NuttZo was topped on my pancakes and on my banana. 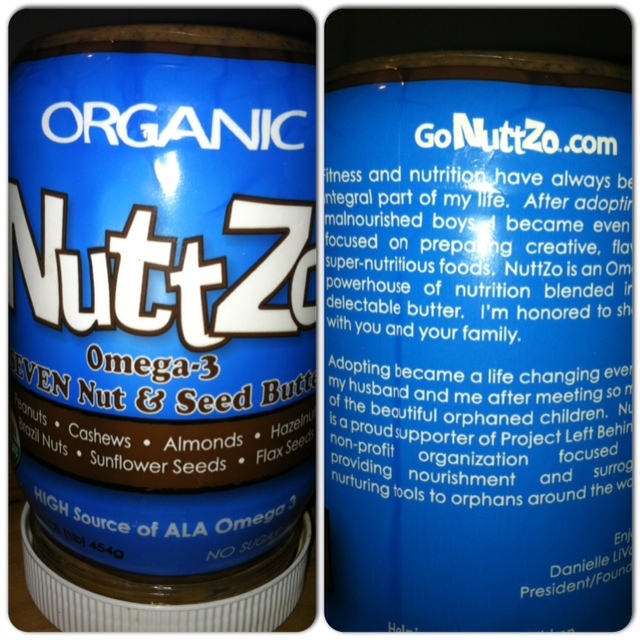 Disclamier: I was provided a jar of NuttZo for the purpose of a review through FitFluential. I was not compensated for this post. All opinions expressed here are 100% my own. I love Nuttzo, it really is a great product! I wish it were not so expensive, but certainly worth it if you can dish out the money. It's a treat in our house, oh so good! It is such a lovely treat!!!! 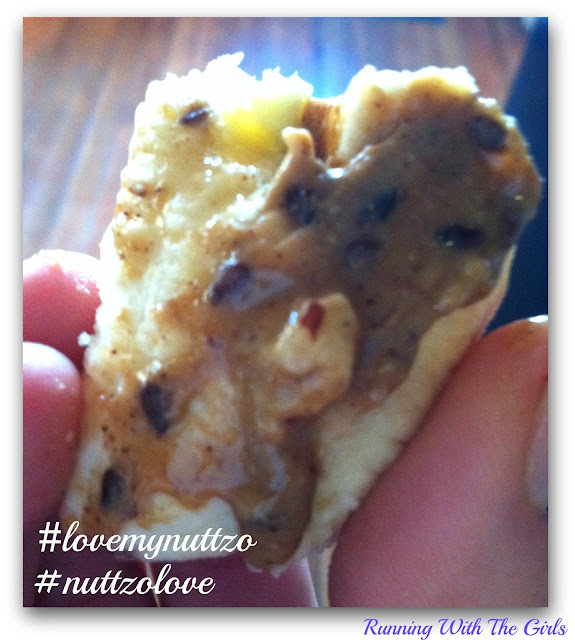 I keep seeing reviews for Nuttzo and am just a little jealous ;-) Need to try to get my hands on some! Oh you would LOVE it! All these reviews for Nuttzo makes me want to run out and get some!!! Looks so yummy!! Oh yes and my daughter brings Sunbutter and fluff every day!!! I posted my review to day too :) I just looked up how much it costs though and I won't be buying any more, I can't pay 20 dollars (including shipping) for nut butter! I'm so excited to try Nuttzo! I just ordered a jar today! Looks delish :) I've heard lots about it. I'm a sucker for PB.